This restlessness is compounded by the fact that those lettuce seeds I mentioned planting are popping their bright heads out of soil already, almost taunting me because it’s. so. close. But until then, we have to make do. I found inspiration recently in Mark Bittman. Being in my earlyish 20s, the Mark Bittman legacy is a bit lost on me. Obviously I understand that The Minimalist is wonderful (RIP), and it’s definitely given me some good recipes in the past few years, but when you’ve only had your own kitchen for a few years and have been reading the New York Times just a few years longer, I just don’t have a good grasp of the sheer longevity of his column. So I was gratified to see that Bittman rounded up 25 recipes from The Minimalist since its inception to share. When the socca is done, put the pan on the table, cut it into random shapes, hand out napkins and have at it. Cut it into random shapes, Mark Bittman? Why? Maybe I’m a bit of a pedant about people using the word “random” too freely, but I had this immediate mental picture of a group of people sitting around the table, carefully cutting their communal chickpea pancake into various shapes, like elephants or clouds. But then, when you’ve finished that, just hand out napkins and have at it. Easy. This was good, filling, and aromatic from the rosemary and onion. You should get your hands on some chickpea flour if you don’t have the luxury of it waiting in your pantry. When it comes out of the oven, you can laugh a little to yourself and cut it into whatever shape you please for serving. (Although I feel like Mark Bittman would be a little disappointed in me because I very deliberately cut mine into boring, uniform wedges.) Bittman presents it as an appetizer for 4-6, but I think it would make a good simple dinner for two with some greens on the side. Heat oven to 450 degrees Fahrenheit. Put a well-seasoned or nonstick ovenproof skillet in to warm. Whisk chickpea flour, a few pinches of salt, and black pepper in a bowl, then slowly add 1 cup room temperature water as you whisk. Stir in 2 tablespoons olive oil. Add onion and rosemary and mix (Bittman directs you to wait to do this until right before the socca goes in the oven, but I missed that and it still turned out fine.) Cover, and let sit while oven heats. 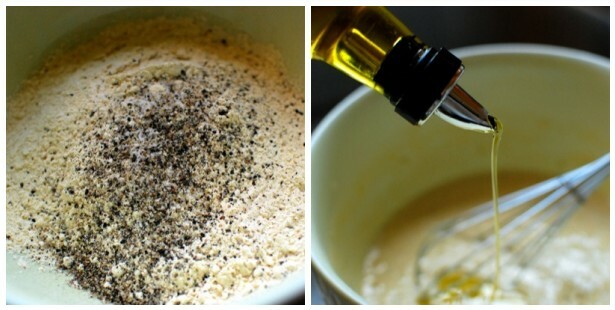 Pour 2 tablespoons oil into heated skillet, and swirl to cover evenly, then pour in batter. Bake until pancake is firm and set, about 12 minutes. Start broiler, brush the top of the socca with 1 or 2 tablespoons of oil, and set under the broiler for just a few minutes, or until browned on top. Cut into pieces and serve warm. I finished the dish, as I do with many things, with a drizzle of nice olive oil and a sprinkle of sea salt. I remember when the socca recipe first appeared in the minimalist. How hard is it to find chickpea flower? I remember not being able to find it in C-ville. I just discovered this recipe (http://wholelivingdaily.wholeliving.com/2011/04/meatless-monday-homemade-socca-my-new-favorite-recipe.html) the other day and was definitely intrigued. 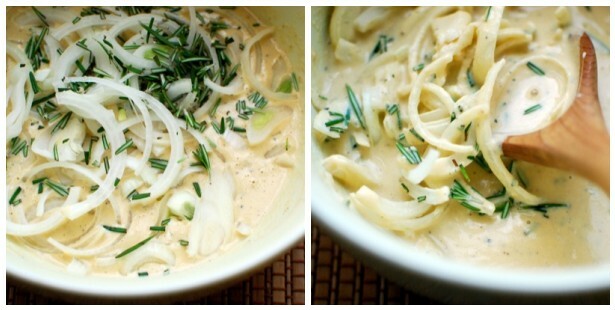 Now I’ve stumbled upon your lovely blog and I’m even more excited about the addition of onions and rosemary. Will definitely be whizzing up some freshly ground chickpea flour to try this out! I’ve just discovered your site, and am simply charmed. I ‘ve downloaded your e-book, read it, and read your post on work/”lifestyle” balance. I will be commenting on that post separately. You are definitely on the right track, you do deserve a balanced life! I’m so glad that you posted about this socca, it is a great reminder that I had intended to get some chickpea flour and to try Bittman’s recipe – I think it may be possible to find it at one of the Indian groceries in our area, or at whole foods. If I am unable, I may just order it from Amazon, although I could simply drive to Bob’s Red Mill – they are here in Portland, where I live. They are some distance from my part of town, however, so I’ll try the other sources first. “cut it into random sizes, hand out napkins and have at it.” ?? So often if you cut each piece the same size, the folks with tiny appetites, who are dieting, or trying something new which they are unsure of, will hack some of your slices into odd sizes anyway. Thank you again for bringing this back to my attention – aren’t archives great? p.s. i’m back reading all of your posts, just in case it looks like i’m stalking, hahaha… I just discovered your blog the other day and love it! You are currently reading Socca (Chickpea flour pancake) at The Yellow House.